Pottermore makes deals with Amazon and Barnes & Noble. Reuters has today announced that Amazon and Barnes & Noble have made huge concessions to Pottermore in order to offer the Harry Potter ebooks through their online stores. Although they won’t be able to sell the books directly, they will be directing buyers to the Pottermore site and the ebooks will be compatible with their devices/apps. This is the kind of compromise that would, almost certainly, never wash with any other author. J.K Rowling and her magical universe certainly has the power to command whatever deals she wants from retailers, but I don’t expect them to be sending their traffic and sales to many other authors or publishers in the near future. Even The Hunger Games, which has now sold 36.5 million print copies and surpassed the Twilight movie in terms of ticket sales for the first installment of the adaption, will never be able to replicate the Pottermore effect. Digital rights are the biggest sticking point in contract negotiations, but when he asks publishers what they plan to do with those rights they usually don’t have an answer. Now matter how savvy or creative publishers, authors and agents get in terms of selling digital content over the next few years, it seems unlikely any will be able to create the industry shake-up the Rowling has today. I certainly don’t expect to see two of the biggest book retailers handing their customers to other websites without some seriously magical intervention. Yesterday at the Bath Digital Festival, a new event was launched. D:BATE held their first ever showdown between experts, on the subject “Digital Is Killing The Print Industry”. In the Pump Rooms, the crowd was polled on whether they agree with the statement ‘Digital is killing the print industry- the presses will stop running in ten years’. The majority, 20 people, were undecided while 19 were against and 16 were for the statement. The debate consisted of two teams of three who were fighting to convert the audience to their side. Julian Gough (author and all around interesting person. Also, my notes say he was wearing a nice jacket). Robert Topping (of the beautiful bookshop). 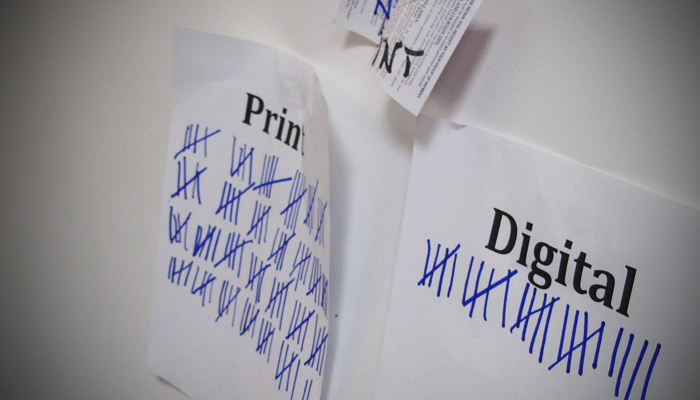 At the end of the evening, and using a very biased paper-based polling system, the audience voted AGAINST the motion that digital will replace print in 10 years, by a landslide 41 votes to 20. 5 voters were still undecided, perhaps because the general consensus at the end of the debate was that a hybrid of print and digital forms was the future publishing. And there was no little paper card for this option. The question of what should people be paying for ebooks has been raging since the moment the first ereader hit the shelves. Google and Amazon have now become locked into a pricing standoff which has created a storm of deals for customers, but may enhance some of the other problems on the horizon for Apple. Huffington Post Books reported that Google Play and their bargain-basement launch offers have caused Amazon to have a bit of a moment. Is this the dawn of a shiny new competitor for the virtual retail giant? In a slightly related tangent, The Wall Street Journal has revealed that there is a lawsuit pending by the US Justice Department which accuses Apple and five major publishing houses (including HarperCollins Inc.) of colluding to fix ebook prices. The case suggests that the ‘agency model’ was used in ebook contracts: publishers made deals which allowed them to set the ebook price for iBooks, of which Apple would take a 30% cut. The deals prevented the publishers from allowing any other retailer to sell those same ebooks at a lower price, which has caused the anti-trust case to be filed. Apple argue that they are simply using a pricing method which will be sustainable in the long-term for both their company and the publishing industry. A spokesperson pointed ut that if they continued to challenge Amazon the prices drops would harm them all. There has certainly been support from the industry for their stance. Many retailers and publishers have spoken out saying that any action to stop or reduce the impact of the agency pricing method will give Amazon an advantage. Certainly, there is a consensus that if the stack ’em high/ sell ’em cheap model continues then there will be nothing left of the industry to sell. Just what people will make of the Google Play Vs Amazon price smash in this arena remains to be seen. The fact that it has only pushed prices further down, even for this limited period, will certainly cause concern. It’s Copyright against the Internet. The ability to digitize information has made access to it global and instantaneous, but now there is more information out there than ever, who controls it? Heather Brooke, writer, journalist and Freedom of Information activist, was speaking at the Bath LitFest today. As well as talking at length on the issue of online privacy and surveillance, she spoke about the copyright conundrum facing all industries and how it could be approached for this new, digital, generation. Brooke described the internet as ‘managed chaos’ without a central authority, although it is in the process of becoming controlled by a few giant companies (such as Apple and Google) which will create a concentration of information. She points out that although no single government or state has control over the internet as a whole, politics is becoming more and more involved in policing their country’s access to content. Some superpowers are becoming more powerful than others at controlling content across the whole web. The USA in particular is often seen as overstepping their boundaries in terms of controlling cyberspace, such as the Megavideo shutdown . Brooke asked part-way through the talk, stressing that originally copyright was a way for a creator to profit from their art- it was not intended to prevent access to that work for future generations. An audience member asked her why, as she is a Freedom of Information activist, should people pay for her book. She replied that her time is valuable and her ability to write books hinges on people buying them, but she wouldn’t make money on it indefinitely and she would like more freedom to post sections or other content from it online. The conversation also turned to her job as an investigative journalist. She said that the challenge of the internet is that there is so much information thrown up that finding the valuable information is difficult. A journalist’s job is to gather that raw material and try to verify what is and isn’t fact, it’s about gaining perspective. One of the consequences of the decline in funding for print news outlets, and the low funding of online news outlets, is that investigative journalism is being cut and underfunded. This decline means that instantaneous, knee-jerk journalism is becoming a big problem – a story can now reach across the world before the first fact-check has been completed. Brooke did not suggest that she had answers for any of the difficulties with copyright law, in fact she said “I don’t know how to find funding for my next project”. The publishing industry, as well as every other industry which creates digital content in any form, needs to find a way of enabling people to share their work whilst earning enough to keep making it. This afternoon the Bath LitFest featured a debate on the future of printed books. To discuss the topic, several key players in the publishing and writing industries were policed by James Runcie. Neil Blair is a lawyer and, most importantly, J. K. Rowling’s literary agent. Charlie Redmayne, who is formerly of Harper Collins, is now the CEO of Pottermore. Runcie opened the debate by stressing that authors are less concerned about what form their book comes in than how to make money in a fractured market. The solution he came to was ensuring that JKR controlled all the digital rights to her content rather than selling it to her publishers. However, this is a difficult issue and that solution won’t work for everyone. As an agent he finds that digital rights are the biggest sticking point in contract negotiations, but when he asks publishers what they plan to do with those rights they usually don’t have an answer. Blair believes this is because they have relied on a “lazy cookie-cutter approach” for too long. Publishers need to discover and develop new ways of providing and marketing an author’s work. For JKR, launching Pottermore was the answer, but it will not work for everyone. One of the key reasons this method works for Harry Potter readers is the sense of community and the subsequent expectation of integrity between the reader and the provider. Someone asked the panel about the feeling that writers now have to become a brand as well as an author. Writers, like musicians, are having to rely on their own profile and contact with fans to generate an income. The panel certainly agreed this is a challenge; writers are very different people to rock stars! There was a concern that publishers will stop supporting authors who aren’t seen as guaranteed successes. That will, in turn, create a lack of new talent in the industry- writing is becoming more and more of a full time job without full time pay. Personally, I think the industry’s biggest transition needs to be made by consumers. The adjustment is getting used to paying for the content, rather than the format the content is in. Piracy is the other major concern in the digital revolution and all three speakers felt it was like “playing a game of Whack-A-Mole”. The image based social network Pinterest has become insanely popular incredibly fast over the past few months. So of course there has been much fevered discussion about how it can be used by the publishing industry. Many publishers including Bloomsbury, Penguin and Harper Teen are already making the most of the site and this article from The Bookseller (which I found via @KatieFQ) highlights the importance of sites like Pintrest for marketing books. The use of the terms ‘sell’ ‘royalty-free’ and ‘exploit’ in reference to member owned/created content has certainly got people in a tizzy. There have, of course, been a lot of people accusing Pinterest of taking the (picture of the) biscuit. The most important thing to consider is that this clause is not so different from those hidden in the terms of service for most other sites. Yes, that’s including the terms of service for Facebook and Twitter. People are often shocked when they’re made aware of the rights companies hold to our content on the internet. But this doesn’t necassarily mean all social media platforms are out of the question for marketing. It certainly doesn’t mean anyone should be afraid of Pinterest. Within reason, that there is little legal or financial reason not to advertise and promote your products on Pinterest. Especially if you are already doing those things on other social media sites. But be sure to read the terms of service, or at least google for someone who has. Is it a book? Is it a film? No, it’s an… advert…? So, as usual, people who are making things are looking for ways to get people to buy those things. In the publishing industry that means getting people to buy books. Clearly. What is changing drastically is the way publishers are having to get their content across. For a long time, marketing for books was limited to print adverts and good reviews, combined with author appearances. 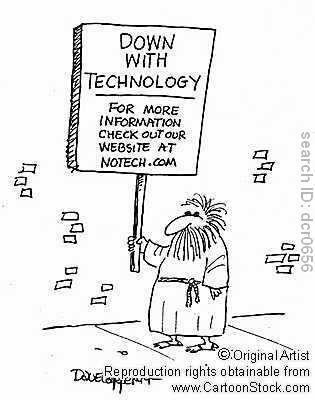 The internet is changing that. Not only can authors meet and greet fans without having to leave their bedroom, but multi-media advertising is becoming the expected method of marketing any new product. 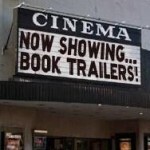 Because of this, book trailers are becoming more common for every genre. It’s important to remember is that this is a growing sector of the industry and growing sectors need time to find their place. Book trailers are definitely still working hard to find theirs. It seems to me that the biggest mistake being made with book trailers is the tendency to advertise the book as though it were a film. This is especially true of children’s books, where the use of book trailers over the internet has been spreading since at least 2007. Even though the trailer is well made and intriguing, it doesn’t necessarily make me want to read the book. It actually makes me want to see the film. Crucially, if I do choose to pick up the book, having seen that trailer will change the experience of reading it for the first time. I’ve already been given an image of the characters, places and emotions I’m about to read, and that is going to impact on my experience when I start looking at the words. This, even though it is adding to the reading experience with images, stays true to the text of the book. I think the reason I prefer this method of advertising is that it is doing what a trailer does. It is offering a sample of the product to encourage you to buy more. That advert sold me the content of the book, rather than the content of a non-existent movie. The future of book trailers is very much evolving. Fan made trailers (like this one) are one of the best ways to encourage a grass-roots readership and engage with an audience, and are particularly popular when it comes to series of books. Another beautiful example of advertising a book through making the words the most important part of the experience.